New to New York City in 2017 will be Joie de Vivre Hotels’ first Manhattan property, Hotel 50 Bowery, slated to open in March 2017. Bringing 229 rooms to the heart of Chinatown, the hotel is designed to celebrate the location’s past, present and future. Guests will get a taste of Chinatown through three on-site culinary concepts by Chef Dale Talde and partners from the Three Kings Restaurant Group. Guests can also enjoy a permanent installation by the Museum of Chinese in America, which will be facilitated by an on-site curator. The exhibit will tell the story of Chinatown street-by-street, and feature some significant artifacts found during the hotel’s construction. A springboard to some of New York City’s most vibrant neighborhoods, from here in the heart of Chinatown to the Lower East Side, Tribeca, Soho, Little Italy and Brooklyn. 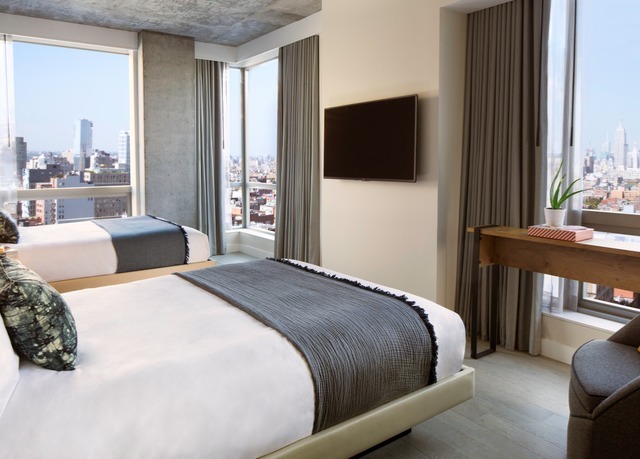 50 Bowery is a boutique hotel that captures the energy of NYC,inspired by the cultural crossroads of our location on Manhattan’s oldest street, where diverse cultures have come together for centuries. With this hotel’s convenient location on Bowery near Canal Street and the Manhattan Bridge, getting anywhere in NYC will be a breeze. We celebrate the joy of life, where General Washington communed with his men at the Bull’s Head Tavern, where actors once took the stage at the vibrant New York Theater, and where new Americans from Europe and Asia brought their optimism and ambition.